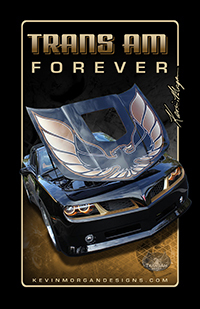 We have garage banners, T-shirts, posters & can koozies for sale featuring the 2012 KM Edition Trans Am. Pay securely through PayPal. Please specify your shipping address and shirt size when placing an order. Feel free to email me with any questions. 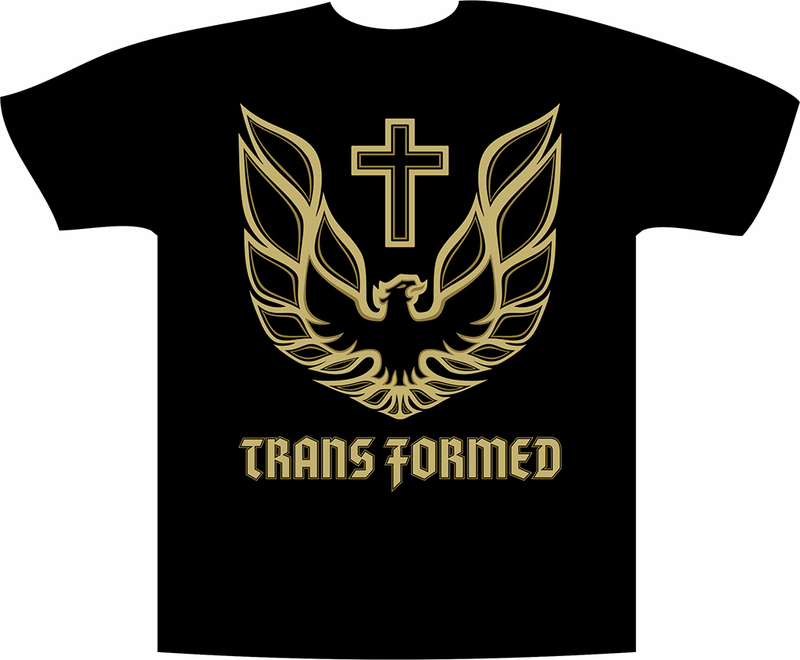 Black T-Shirt with 2 tone gold Cross, Trans Am Bird and Trans Formed lettering. 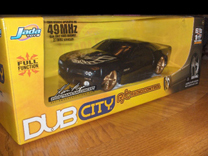 Only $20.00 plus shipping. $2.00 extra for XXL - XXXL. 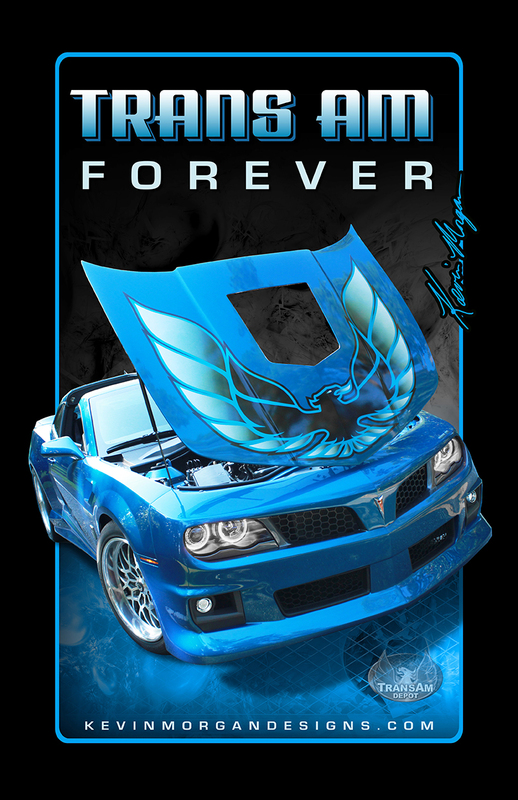 Trans Am FOREVER Poster - 11" x 17"
Black poster with full color printing featuring The Aqua Blue Metallic KM Edition Trans Am and Trans Am Depot Logo. Black poster with full color printing featuring Black & Gold KM Edition T/A and Trans Am Depot Logo. 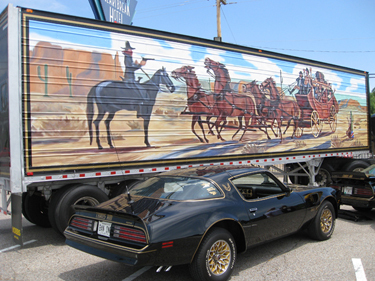 Full color printed featuring The KM Hurst Edition Trans Am and Trans Am Depot Logo. Banner has grommets every 2' for easy installation. 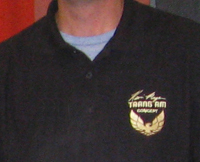 Black banner with full color printing featuring The KM Edition T/A and Trans Am Depot Logo. Banner has grommets every 2' for easy installation. 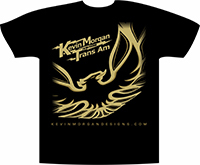 Kevin Morgan Edition Trans Am Poster - 11" x 15"
Black poster with full color printing featuring The KM Edition T/A and Trans Am Depot Logo. Hot Rod Cover Poster featuring Kevin Morgan Edition Trans Am - 11" x 15"
Black Polo Shirt with 2 tone gold embroidery featuring Kevin Morgan's signature, Trans Am Bird & Lettering. 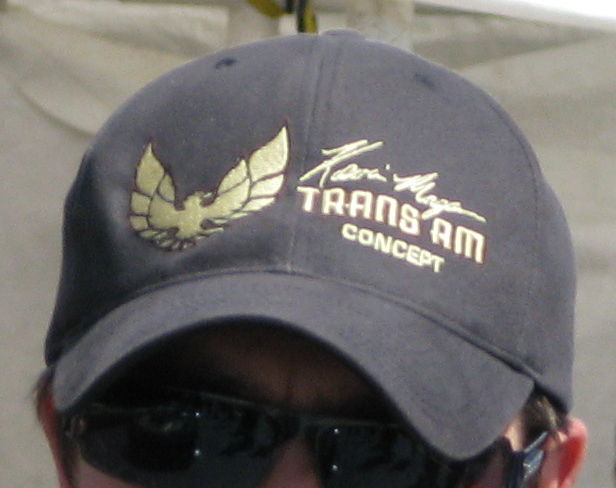 Black Flexfit Hat with 2 tone gold embroidery featuring Kevin Morgan's signature, Trans Am Bird & Lettering. 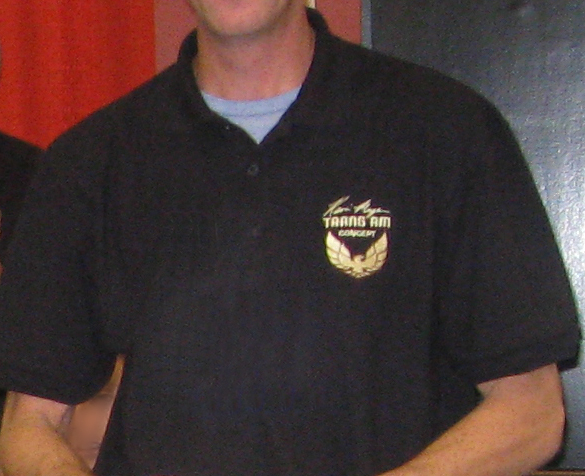 Kevin Morgan featured on the Round The County Television show on Blue Ridge Cable Channel 13. 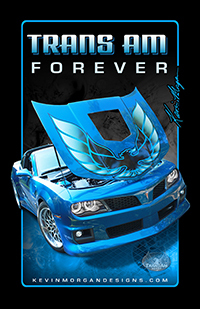 This DVD features Kevin's artwork, vinyl graphics business & concept Trans Am. 6' x 2' Bring It Back Concept Trans Am Garage Banner. Banner has grommets every 2' for easy installation. If you are interested in getting a full size graphic like used on Snowman's trailer, please contact us for more information.